At today’s institute day, we had the opportunity to select three different sessions from among fifteen that were offered in three different time slots. The variety was wonderful, and, due to the number of teachers presenting, most teachers only presented once and were free to attend other sessions during the other two time slots. The presentations that I attended were fantastic, and I heard nothing but positive comments from other teachers. I shared a basic introduction to Evernote with a focus on how it can be used to collect enrichment materials that are then easily shared with students. 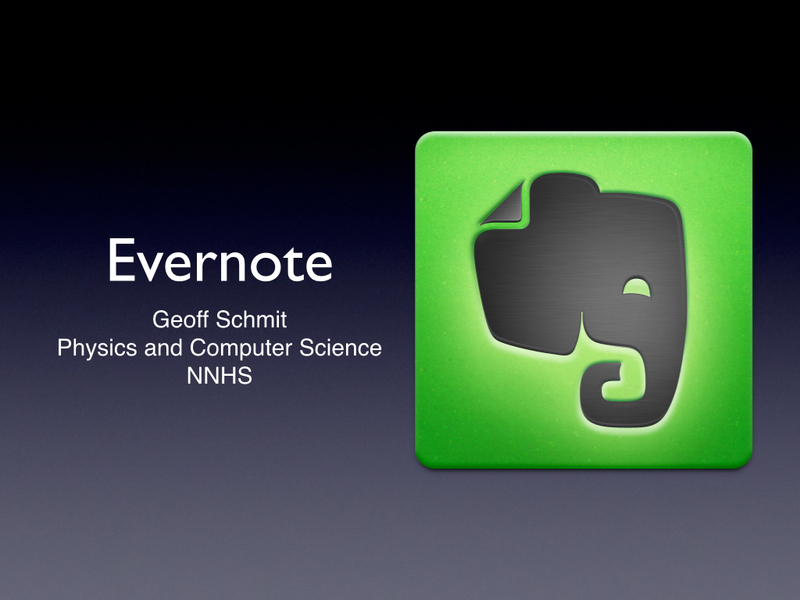 The presentation was similar to the Sharing Resources with Students via Evernote post.